Dreams and deception collide in David Carnoy's page-turning tale of murder, manipulation, and mistaken identity. After Knife Music, his "gripping thriller debut" (Kirkus Reviews) and The Big Exit, called a "page-turner" (Examiner.com), David Carnoy's Detective Hank Madden returns in this bicoastal caper that pits dreams against reality, where nothing can be taken at face value. Twenty years after the unsolved case of Stacey Walker's disappearance went cold, a Silicon Valley executive hires the retired Menlo Park police detective Hank Madden to find her body and track down her missing husband, the prime suspect in her unsolved murder. Four months later, author Candace Epstein is pushed in front of a car near New York City's Central Park. Her editor, Max Fremmer, becomes entangled in the investigation of her attempted murder, though he is adamant that he is uninvolved. 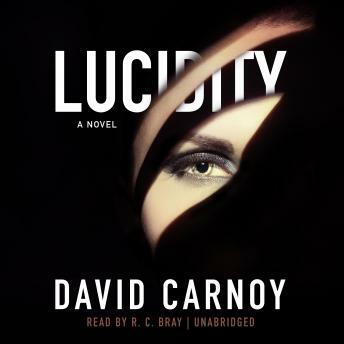 As he digs into Candace's background to clear his own name, Fremmer grows suspicious of his client's connection to a nefarious institute for lucid dreaming on the Upper East Side and its staff, whose stories never seem to add up?all while an unexpected link to Madden's investigation in California emerges. As similarities arise between the cases on each coast, Madden and Fremmer forge an unlikely partnership to expose what misconduct lurks beneath the façade of the Lucidity Center?but can they unravel the secret that links their investigations in time, or are they only dreaming? Carnoy's Lucidity stuns with complex detail that will keep readers guessing until the final, satisfying jolt.